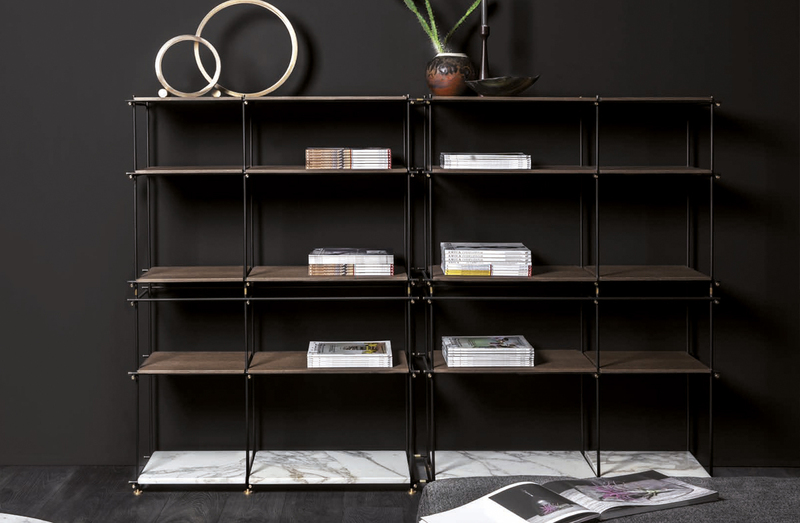 Modular bookshelf system consisting of burnished tubular metal rods with shelves in stained oak, base in marble. Metal details in satin brass finished metal. Components can also be wall hung. Please see ADDITIONAL SPECS to view available finishes. Taupe or gray stained oak, burnished metal.